When I was eight years old I had my first rather profound thought. At the time I had no idea it would fall into the realm of quantum theory. I simply wondered if there were other Kathys out there in the world that were feeling the exact same thoughts and feelings as I was at the very same moment in time. And, if so, how would I know or better yet, find them? Did they look like me? Did they have parents just like mine? How were they faring? While I had no answers to these questions, the possibility of such a shared reality certainly intrigued me. Back then I understood so little of the world I was born into, as had so many generations that had come before me. Then in 1982 a remarkable event took place at the University of Paris that shed new light on our world. A research team led by physicist Alain Aspect discovered that under certain circumstances subatomic particles are able to instantaneously communicate with each other regardless of the distance separating them. It didn’t matter whether they were 10 feet or 10 billion miles apart. Little would they know that this experiment would turn out to be the most important experiment of the 20th Century. In 1997 physicist Dr. Nicolas Gisan of the University of Geneva duplicated these findings and concluded that some subatomic particles appear to be communicating at the mind-boggling speed of 20,000 times the speed of light. The reason these particles are able to remain in contact with one another, regardless of the distance separating them, is not because they are sending some sort of mysterious signal back and forth, but because their separateness is an illusion. At a deeper level of reality such particles are not individual entities, but are actually extensions of the same fundamental something. Like a holographic fractal, each part contains the whole—and we together are the infinite WHOLE like some cosmic biological internet. Right now our nation and so many others on this planet are struggling to come to terms with this concept of interconnectedness. 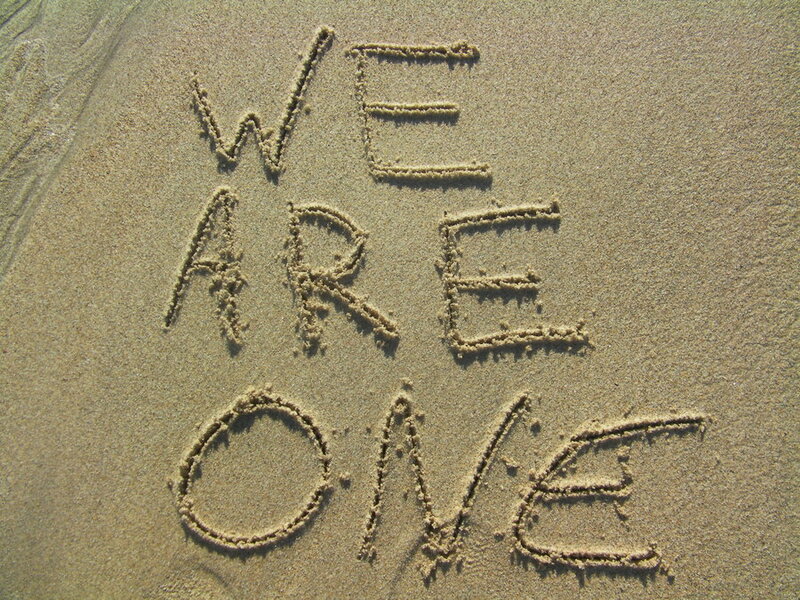 Some have already awakened to the truth that we are all one. Others are slowly coming to embrace it, while still others fear ego annihilation and continue to fight against such thinking. Change is happening very quickly. What used to take several generations, now is occurring in one. Waiting and believing it will change back to what once felt familiar can only cause stuckness and suffering. We are creating a new world where no man is an island. We are a Global Family, a Divine Brotherhood under the Fatherhood of God and Source. We are moving towards the self-realization of Oneness. As we make progress, we will realize that hatred towards others is really hatred towards self. Would racism still exist if tomorrow we were all blinded and couldn’t see racial and/or religious differences? Next time you’re on the freeway, imagine that a clone of you is in the driver’s seat of every other car. 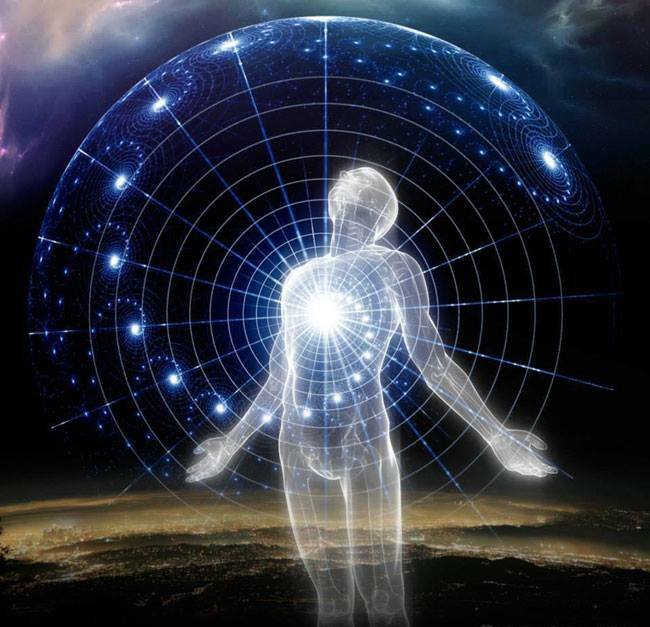 You might all look different, but inside you are exactly the same person, just experiencing the world from a different physical and emotional perspective. Under those circumstances, would you find yourself more tolerant and compassionate? Now imagine our hearts all being globally connected. Hate would be transformed by love, cooperation and compassion. Any thoughts of separateness would quickly fade. Those who felt disconnected would no longer feel alone. This is the Global Community that man is evolving towards. It may currently seem like an uphill struggle, but with great struggle oftentimes comes great reward. Anything is possible working together as One.